A coal preparation plant (CPP), also known as a coal handling and preparation plant (CHPP), is a facility that washes coal of soil and rock. The coal handling plant crushes coal into graded sized chunks, stockpiling grades while preparing it for transport to market and, more often than not, loads the coal into rail cars or barges. RPM Solutions services multiple utilities in the United States, delivering unparalleled value through our solution portfolio. Each situation is unique. We deliver custom solutions. The more of the waste material that can be removed from coal, the lower its total ash content, the greater its market value and the lower its transportation costs. Coal needs to be stored at various stages of the preparation process and conveyed around the coal preparation plant (CPP) facilities. Coal handling is part of the larger field of bulk material handling and is a complex and vital part of the CPP. Stockpiles provide surge capacity to various parts of the CPP. A stockpile is used to allow the wash plant to be fed coal at a lower, more constant rate. 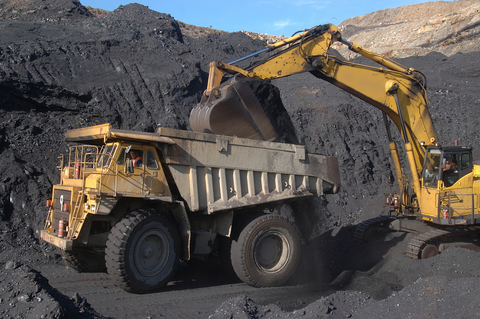 A simple stockpile is formed by machinery dumping coal into a pile, either from dump trucks, pushed into heaps with bulldozers, or from conveyor booms. Unloading of raw coal from coal rake wagons. Separation of stones and metal pieces from raw coal. Processing of coal: The raw coal does not have a definite lump size and sometimes the coal lumps may be very big in size. The raw coal is processed in primary and secondary crushers and the size of the coal is reduced to approximately one inch cuboid. Storage of coal: Every thermal power plant is required to have at least 30 days stock of coal at the site to run the power plant continuously. Processed coal is stored at the coal handling plant area. Regulation and feeding of the coal to main plant as needed. Blending of coal, if applicable. Coal from coal wagons is unloaded in the coal handling plant. This coal is transported up to the coal storage bunkers through conveyor belts. Coal is then transported to the crush house by conveyor belts where it is crushed into small pieces and light dust is separated. Crushed coal is then transported to the bowl mill by coal feeders. In the bowl mill, coal is ground to a powder form. RPM Solutions systems are custom engineered solutions, utilizing advanced equipment components, which provide low maintenance and operating costs.